The nitrate radical (NO3) is the most important atmospheric oxidant during the night-time for organic volatile compounds. In the review reported here, the available kinetic and product data for nitrate radical reactions with a series of oxygenated volatile organic compounds (OVOCs) are reviewed. The results cover the reactivity of NO3 towards unsaturated aldehydes, aliphatic alcohols and acrylate esters. The kinetic results obtained by different research groups on using various experimental techniques are compared and discussed. Trends in reactivity are analyzed, and studies on the primary reaction products, when available, are presented. The reaction mechanisms elucidated from the kinetic and product data are presented and discussed. Kinetic data for the reactions of the OVOCS reviewed in this chapter with atmospheric oxidants are necessary to obtain a realistic representation of the chemistry of these compounds in tropospheric models, which are used to assess the impact of contaminants on air quality. The rate coefficients for the reactions of the oxidants with the OVOCs can be employed to calculate the tropospheric lifetimes of the OVOCs in the atmosphere with respect to each oxidant. The lifetimes of the reviewed compounds in their reactions with NO3 are summarized in this chapter, and the atmospheric relevance of the loss processes is analyzed in comparison to losses through reactions with other important atmospheric oxidants. 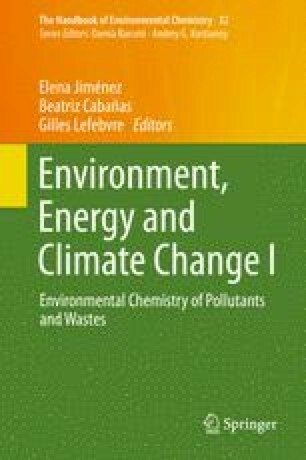 The authors acknowledge the financial support provided by the Consejería de Ciencia y Tecnología de la Junta de Comunidades de Castilla-La Mancha and Ministerio de Ciencia e Innovación of Spain.